Reporters and major media outlets in general often fail to accurately mirror the social media niches that are so available to them. Twitter subcultures are the best example, and the Knight Foundation — non-profit foundation dedicated to fostering journalism and the arts — has the receipts. Researchers commissioned by Knight for the new report, “How Black Twitter and other social media communities interact with mainstream news,” analyzed “over 46 million tweets with community-related hashtags” across 2015 and 2016 in order to dig into how traditionally marginalized communities were treated by the media in recent years. “In absolute terms,” the report notes in a section titled “Subcultures as a source of news,” “news organizations posted to Black Twitter hashtags most often (33,579 tweets), then Feminist Twitter (5,965 tweets), then Asian-American Twitter (2,816 tweets). This amounted to a very small proportion of total tweets (0.01 percent). In other words, Black Twitter is a huge subculture on Twitter — more than six times larger than Feminist Twitter — but receives practically the same media coverage. And on the other end of the spectrum, Asian-American Twitter is the smallest of the three communities examined in the study, yet receives the most coverage. The point here isn’t to pit the marginalized Twitter subcultures against each other. News coverage isn’t a zero-sum game, so the next article you see namedropping Asian-American Twitter didn’t come at the expense of a Black Twitter article. But it’s clear that news coverage is failing to accurately represent the social media landscape. 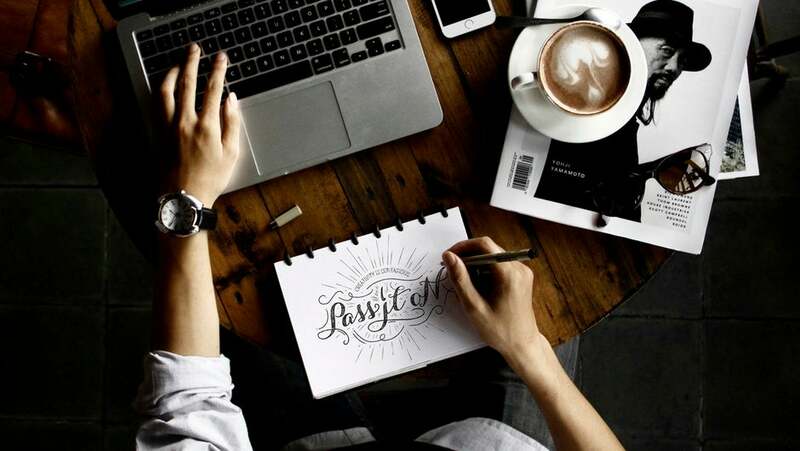 The answer most likely lies in their hiring practices: Writing and research teams at major media organization should be a lot more knowledgeable about certain social network niches than the data reveals they are. I see hashtags, nearly every day, that are promoted by trolls (Russian?) that, once they trend, are reported by mainstream media as if they are real news. It's amazing how gullible news networks are about trending topics. Not print media but TV news is, often. So if news reporters are missing the subcultures, what are they reporting? One option is to go for the flashy “trending” feature under the assumption that it represents the most popular content. But a relatively small number of trolls can simply signal-boost their own hashtags, which are then reported on as actual news by outlets. And when reporting on social media, news organizations often return to certain narratives. But one narrative — the belief that Facebook is the most popular platform — obscures the reality. Facebook tends to dominate the social media conversation, for good reason, given that it’s the one social network that has attracted the majority of every demographic out there (barring those 65 years old and older, that is). But one network stacks up with Facebook for influence: YouTube. 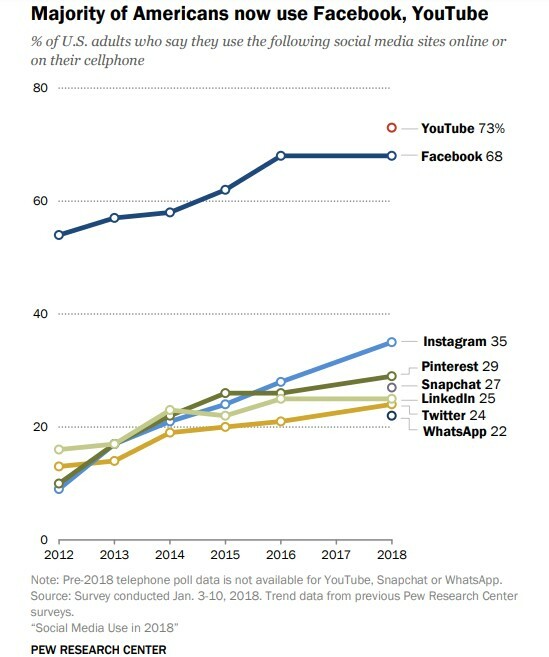 In a Pew Research report out today, six years’ worth of data on Facebook was balanced by a 2018 survey of YouTube’s users: While an impressive 68 percent of Americans use Facebook in 2018, 73 percent use YouTube. Granted, the two platforms can’t be directly compared to each other, but the fact that 94 percent of 18- to 24-year-olds make up YouTube’s audience is an indicator that YouTube’s influence will only grow in the upcoming decades. The “Facebook is the biggest” myth seems to be a sign that people tend to prioritize social media narratives over the facts. YouTube and Facebook do break into the news often, though, and most recently, that’s been due to their algorithms’ failures to address false information, from conspiracy theories inaccurately claiming gun control activist high school students are “crisis actors” to indictments explaining that Russian trolls chose Facebook as their weapon of choice. Facebook’s ad-driven business model boosts the most inflammatory content — if something has a stronger organic reach, promoting it can exponentially increase how well it does on the social platform. And if love or hate something, they’ll share it faster than they’ll share something mundane or well-balanced. This approach may even be incentivizing content creators to focus on the most polarizing opinions, which spread faster and cheaper. In other words, social media as we know it is a double-edged sword: It surfaces unique ecosystems of people who might otherwise never find their own community, and at the same time it also lets the least nuanced, most attention-grabbing topics elbow their way into the news cycle. In response, we need to shed light on the opinions and thoughts of the major subcultures that the internet has brought to light for the first time. Subcultures and niches can be identified based on shared values or geographic locations. Did you know a full three-quarters of students in Japan over the age of 18 are on Twitter even though only a quarter use Facebook? In the future, Facebook may continue to cede power to other networks, from Snapchat to YouTube. And as social media subcultures continue to evolve, reporters and journalists are responsible for digging into the data available to them to figure out who and what voices best represent the population. Read more about why social platforms are always changing on TechCo.